Here is my contribution to the Lunartik Mini Tea Custom Show. 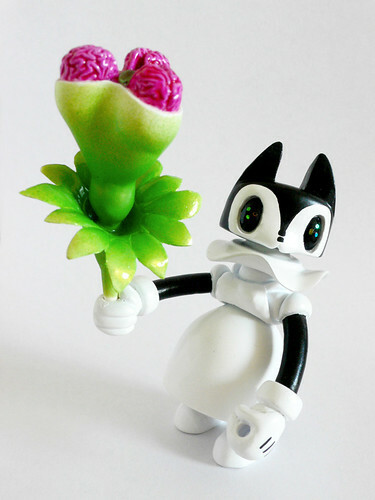 The custom was made from the provided mini tea toy by Matt Jones, Glyos pieces by Onell Design and pieces of my Charlize Harlow toy. Painted with acrylics. Measures about 13cm in height. 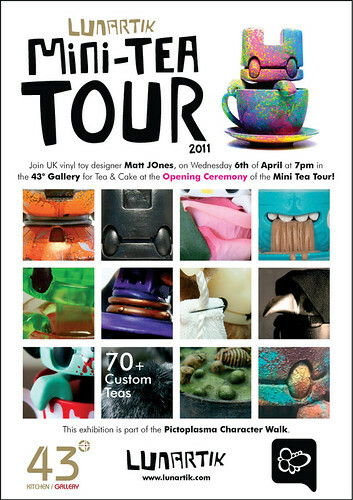 Lunartik’s Mini Tea Tour featuring 70+ custom works of art, created from Matt Jones’ platform toy, Lunartik in a Cup of Tea. 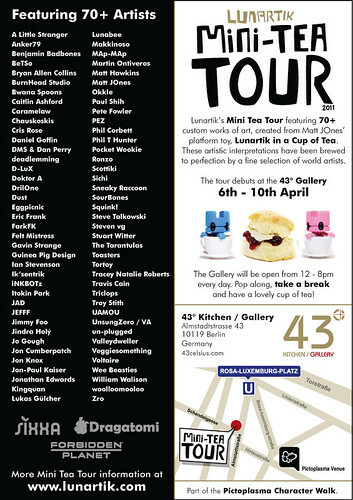 The Mini Tea Tour debuts at the 43° Gallery in Berlin, then moves on to Vienna to the Sixxa store for spring, then off to the USA and to Dragatomi for summer, and lastly we see this year’s tour come to rest in Forbidden Planet’s Mega Store in London for the Christmas season.